I love historical fashion, and always have. The collection started when I was a child and as a seamstress, I’ve enjoyed taking garments apart and putting them back together again, as well as repairing, undoing alterations and restoring damaged fabrics – whatever is needed to return them to their original integrity. 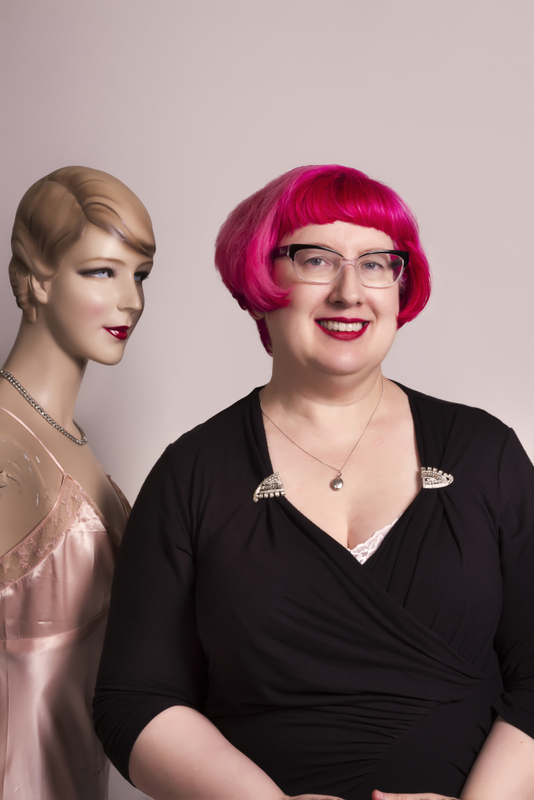 Trained as costume designer, I’ve worked in wardrobe and art direction in film and theatre, as well as many years in the fashion and information technology industries before setting up my boutique Circa Vintage Clothing in 2004. I’m also an award winning author, with my books ‘Love Vintage’ and ‘Style is Eternal’, hundreds of blog, newspaper and magazine articles including for the Guardian newspaper and Vintage Made magazine. Currently studying my Master’s degree in cultural heritage and museum studies, I’m available for talks, presentations, research and content writing, exhibitions and fashion parades. My collection of fashion is available for exhibitions and other educational and cultural projects.